The complete package for video editing for 20 years, VEGAS Pro 16 Suite has opened up new worlds of video and audio production. Add Hollywood effects to your films with the latest premium plug-ins and quickly create professional DVD and Blu-ray Discs with powerful disc authoring tools. Discover 180 plug-ins that help you create every video effect imaginable: from color correction and video clean-up to special laser and warp effects. 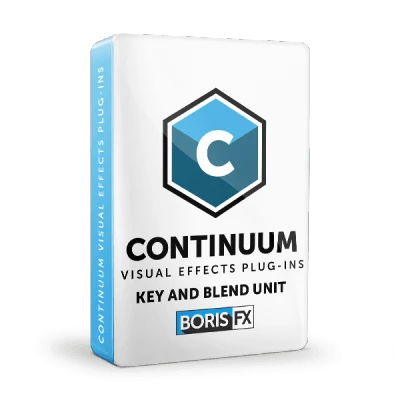 An incredible suite that has around 700 effects for creating stunning visuals for film including filters, paint effects, and animated movie effects. A set of spectacular natural and synthetic lighting effects. Discover everything from 3D lens flares to more subtle glows, glints, and glares. Produce professional DVD and Blu-ray discs. With 80 templates to choose from, or your own design from Photoshop, it's easy to build great-looking menus. Sophisticated masking and motion tracking tools let you follow moving objects precisely. You can easily "pin" text and video to tracked objects. And you can apply color grading, special effects, and other video filters that follow the object as it moves through the scene. Turn shaky footage into smooth, pro-quality video. The video stabilization engine has been rebuilt in house from the ground up with state-of-the-art technology to provide powerful and easy-to-use stabilization. Take advantage of all the latest color science offered by your modern cameras and HDR previewing equipment. Create video with the most stunning colors your viewers have ever seen.